2012-2013: Upgraded wireless infrastructure in all schools and buildings to prepare for wireless device deployment. Learned about and studied the work of the Project Red research consortium regarding 1:1 implementations. Selected and implemented a mobile device management (MDM) solution - Casper. 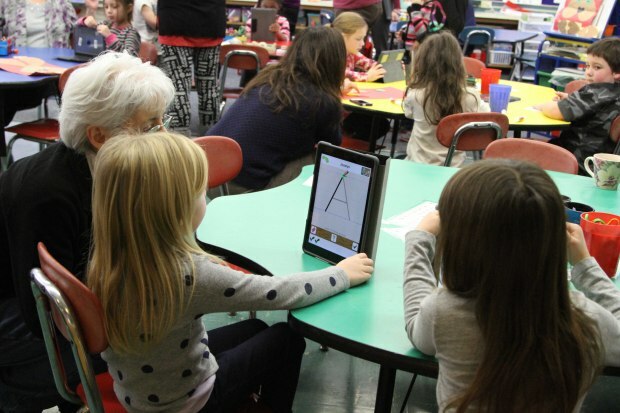 Spring 2013: Initiated iPad pilot with librarians and administrators. Engaged researcher from the University of Rochester, Warner School of Education to monitor our iPad pilot. Fall 2013: Initiated iPad pilot with 296 faculty and students (proposal based approach), in which 15 hours of professional development was for required each teacher. This initial professional development was provided by Monroe #1 BOCES. Expanded pilot in February 2014 (additional 582 iPads for faculty and students). Upgraded wireless infrastructure in some of our schools again (added more wireless access points). 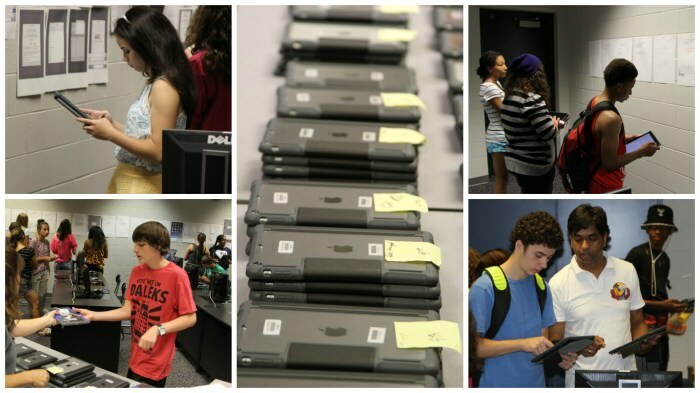 Expanded pilot in September 2014 (additional 942 iPads for faculty and students). Created iPad dashboard for administrators and clerical teams to view longitudinal (year to year) information pertaining to each student iPad (issues, repairs, etc. ), as well as ability to view what apps are installed on each student iPad. Adopted and implemented Schoology as district Learning Management System (LMS). Recruited 12 teachers to become our "Teacher leaders" who would be the first teachers to get immersed in the work of digital conversion, and learn how it can improve instruction. As of June 2015 all 312 faculty completed initial 15 hours of professional development. Full 1:1 deployment in September 2015 (3274 total iPads deployed to faculty and students). From our research we learned that successful implementations and transitions take 3 - 5 years. Our approach was to get infrastructure, management tools, and processes in place as we gradually expanded our 1:1 pilot. This gave us time to evaluate feedback from our researcher and validate that we were on the proper trajectory, and also enabled us to build a sustainable budget structure (gradual purchase of devices over time as opposed to large purchases and deployments in a single year). Announced to our faculty that 2015-2016 is officially year 1 of our journey. So in essence, it took us 3 years to get to year 1 ... where our most important work will now take place: the gradual introduction to our faculty of how the use of digital resources in a 1:1 environment can transform the classroom learning experience for our students. We have partnered with Discovery Education (Digital Leader Corps) for the professional development and content with which we will start this journey. Recruited more "Teacher leaders"... now have a total of 28 across our six schools. We also have a new Instructional Technology Specialist from Monroe #1 BOCES working in our district 3 days per week. Spring 2016 - completed implementation of Microsoft Office 365 and started rolling out to faculty. Began piloting mobile teacher workstations (devices to replace the traditional teacher classroom computer). Formed pilot group of students to keep devices over the summer (used LMS as platform for teacher-student summer engagement). Adopted data integration tool to create data dashboards (Tableau) which will be used to inform instruction (will roll out in 2016-17 school year). Hosted first DigiFest for our teachers. Full day of Digital Conversion professional development for our teachers by our teachers. We had over 190 teachers (60%) of our teachers register for this event which took place in late August (before the start of school). Click here for more details. September 2016 - using first digital textbook ... Social Studies in grades 6 - 8. In October of 2016 our district was one of 19 new school districts accepted into the League of Innovative Schools ... http://digitalpromise.org/initiative/league-of-innovative-schools/districts/.